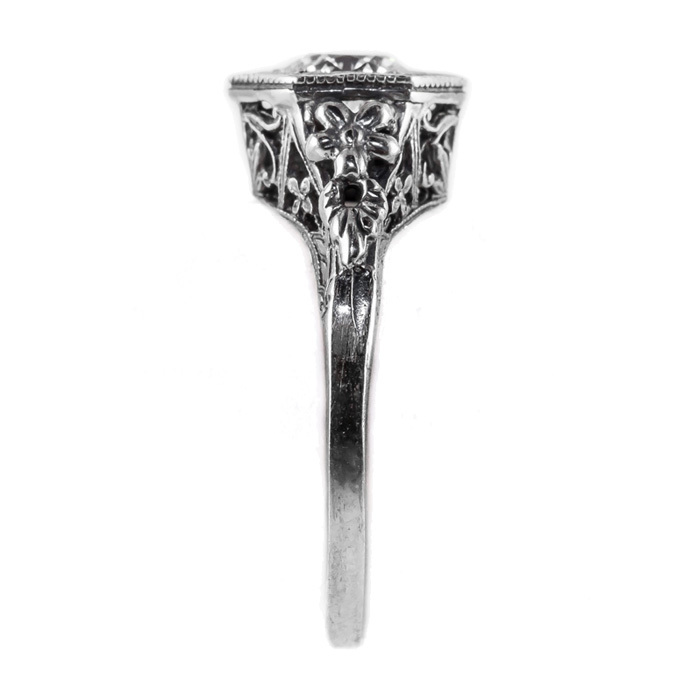 This show stopping vintage style ring proves that Apples of Gold craftsman are true artists. 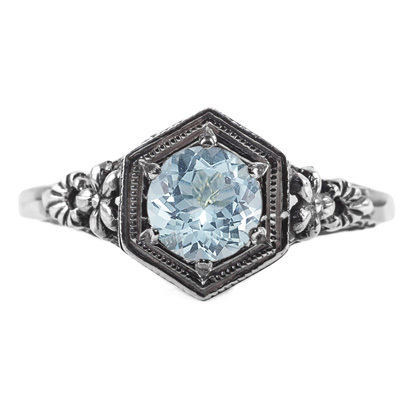 The aquamarine gemstone will command you to stop and smell the flowers. The perfectly pretty vintage floral slate inspiration are sure to have you feeling like you are part of a fashion photo shoot. 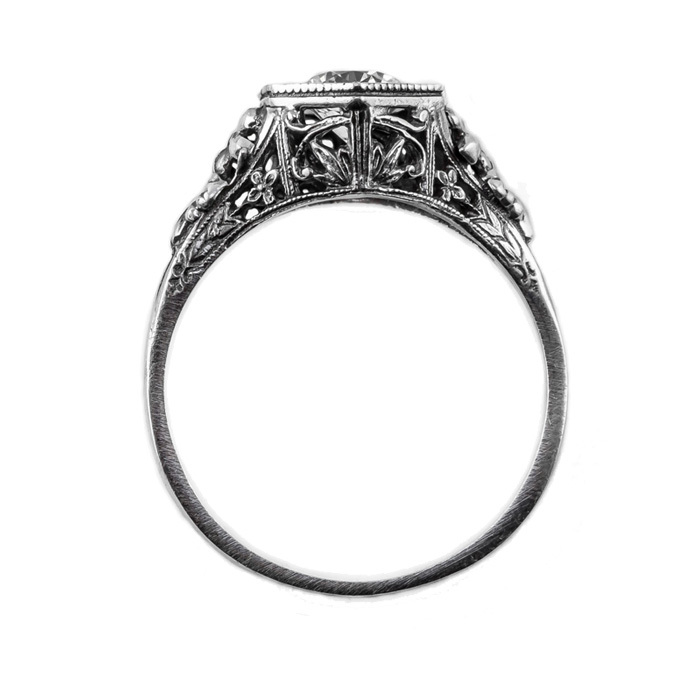 The vintage floral details in the 14K white gold band accentuate the glamour of the aquamarine gem. Measuring 5.5mm and ready to ship today. Please see our ring sizing chart as reference. You will treasure this aquamarine gem everyday. We guarantee our Vintage Floral Design Aquamarine Ring in 14k White Gold to be high quality, authentic jewelry, as described above.